What a year 2016 was for AACF! We had not one, but three legislative sessions during the first half of 2016, including the regular fiscal session and two special sessions on health care reform and funding for highways and roads. 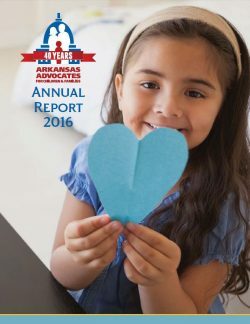 AACF staff worked diligently to ensure the voices of all children and families were heard on the big issues during those sessions. health care. States will have more flexibility to set their own priorities in the years to come, but they will have fewer federal resources to do what needs to be done. 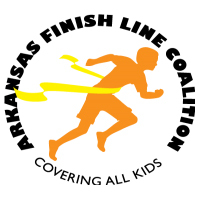 This will create challenges for Arkansas, the state’s legislature, and for AACF’s advocacy work for all children. our technology and made strategic changes in communications, outreach, and public engagement to enhance our ability to educate and engage the public and policymakers. We also developed and deepened relationships with a new crop of legislators — across both sides of the political aisle. In 2017, we’ll continue planning for the future while also celebrating the past. 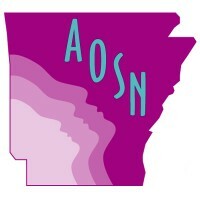 This year marks the 40th anniversary of Arkansas Advocates for Children and Families. We have big things planned to celebrate our work and to talk about the importance of advocacy in improving the lives of children and families. 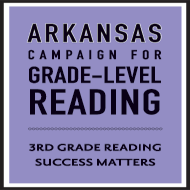 We can make Arkansas a great place to live so that all children have what they need to thrive and succeed. 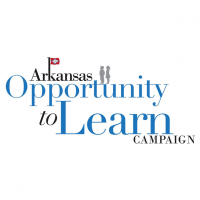 But it will not happen unless we make Arkansas’s children a top priority, and our state makes critical investments to improve child and family well-being. With your help and your advocacy, I know we can do it.